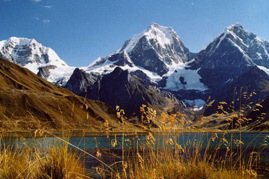 Peruvian Guides Trekking Climbing tour company run by fully certified professional mountain trekking guide. 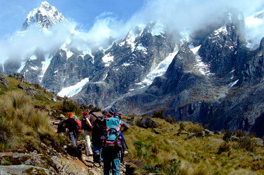 Peruvian Guides is focused to provide and lead excellent services to the Trekkers & Climbers who intend to plan a tour to Peru around the Cordillera Blanca Cordillera Huayhuash Mountain Range Cordillera Raura Cuzco Puno Paracas including Ecuador Bolivia. We assures you of our hospitable, responsible and dedicated services to make your tour most memorable and enjoyable. 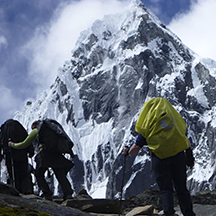 We have organized treks and expeditions for some of the most renowned Trekkers & Climbers which makes us different from other operators. Our reputation to go one step further to ensure that our clients get best service that makes us the first choice. 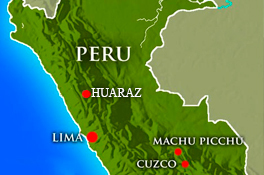 It is our high quality service that makes our clients come back to Peru and refer us to their friends. Most of our business is either from repeat customers or from customer referrals; which is proof of our commitment to service. As well as provide advice on the most appropriate customized itinerary for any age and experience group of people from around the world. Let us know about your travel and expectations, the time you wish to travel, we will then provide various options and supply the best programs and itinerary for your perfect holiday vacations. Your satisfaction is our top priority. We look forward to be of service to you soon. 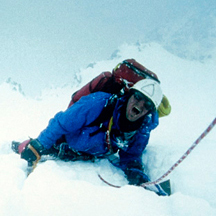 “Touching The Void” This is a truly an astounding account of suffering and fortitude brought about when disasterstruk after Joe Simpson and his climbing partner Simon Yates, has just reached the summit of Siula Grande a remote 21,000 foot peak in the Andes, while descending plunged off the vertical face on ice ledge, breaking his leg. 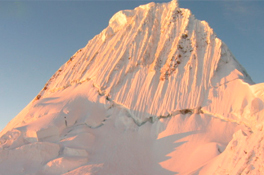 In July 2002 return to Siula Grande on the film “Touching The Void” where Rodolfo Reyes during the film was assistant of the climbers, it was filmed on the west face of Siula Grande Cordillera Huayhuash – Peru.